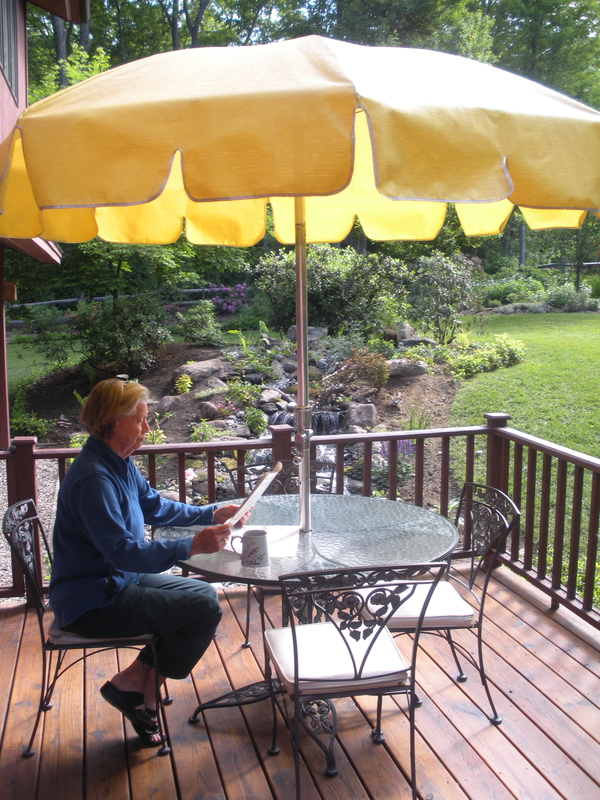 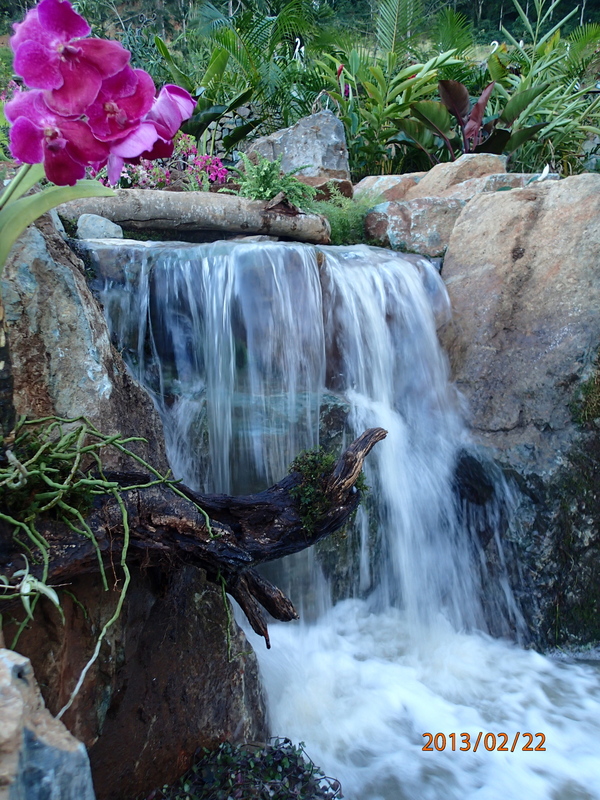 Our naturally balanced ecosystems provide you with a little bit of paradise, and less than 20 minutes work a week. 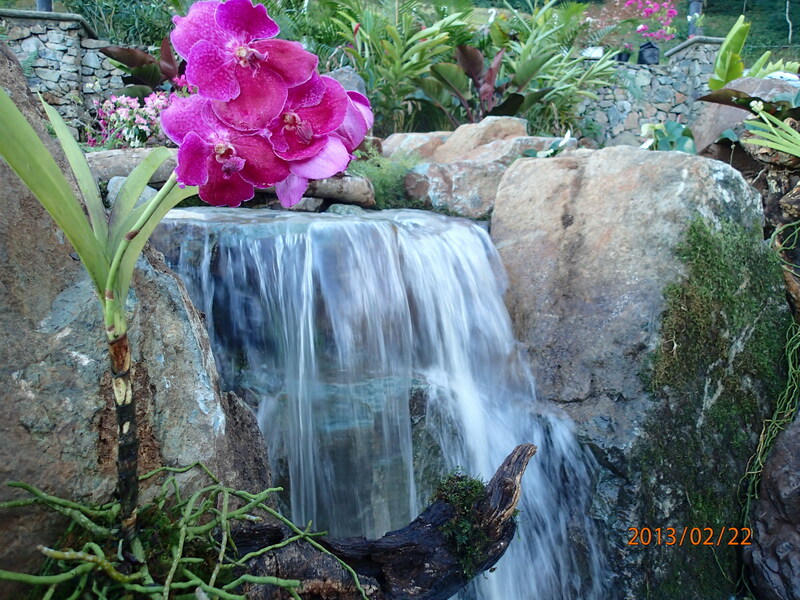 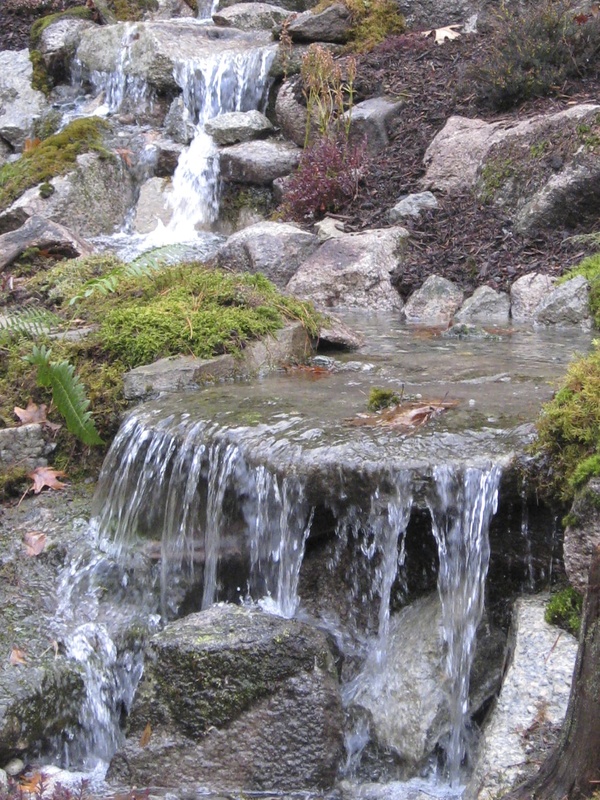 For focal points and gathering spaces nothing beats one of our eco-system ponds or pondless® waterfalls. 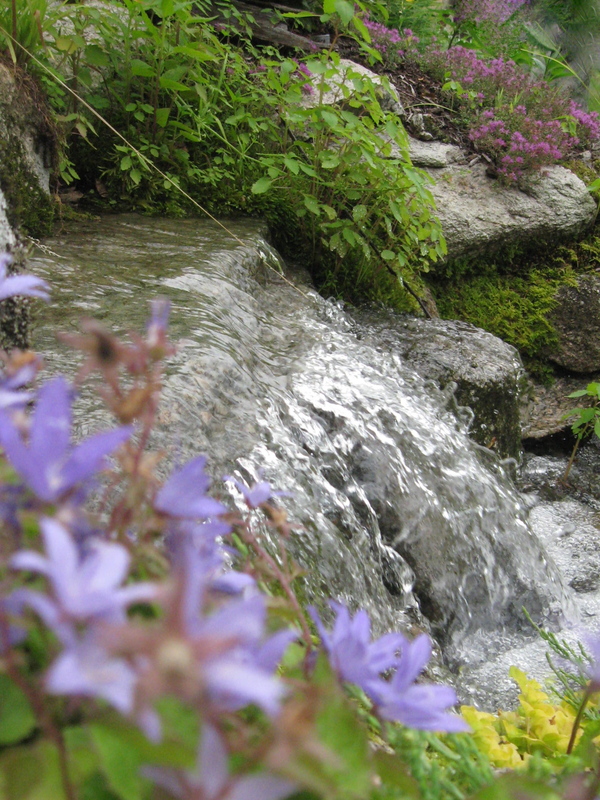 You could even go green and add our RainXchange® rainwater harvesting system to your feature to provide an extra outdoor spigot, irrigation, or fire suppression in a beautiful form to your property. 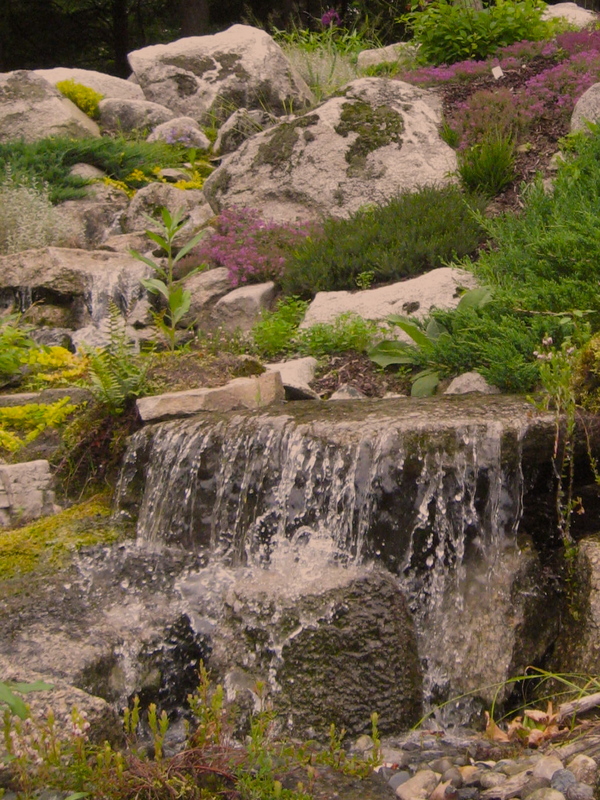 With over three decades of combined experience, locally, across America, and on three continents the team of Professional Certified Aquascape Contractors at Nature Scapes are uniquely prepared to help on your next project. 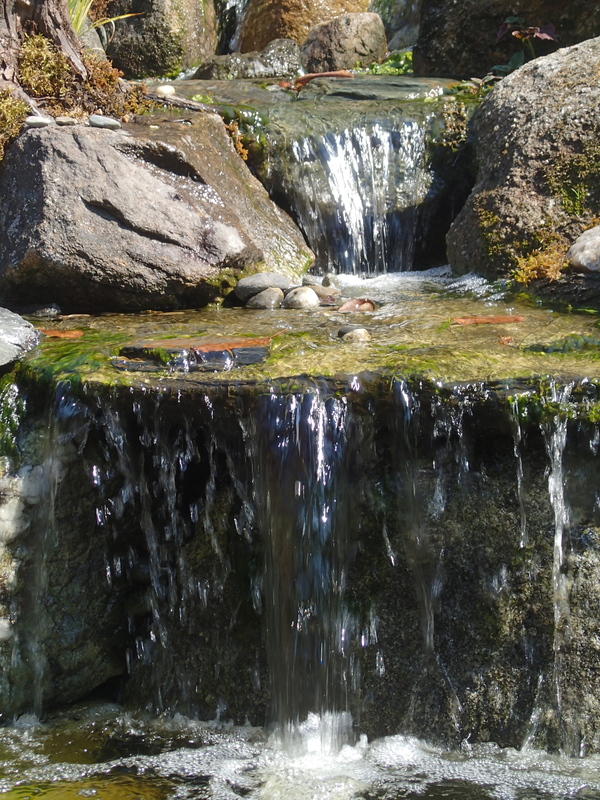 Are you interested in installing a water feature in your yard, but are concerned about the safety and liabilities of having a pond? 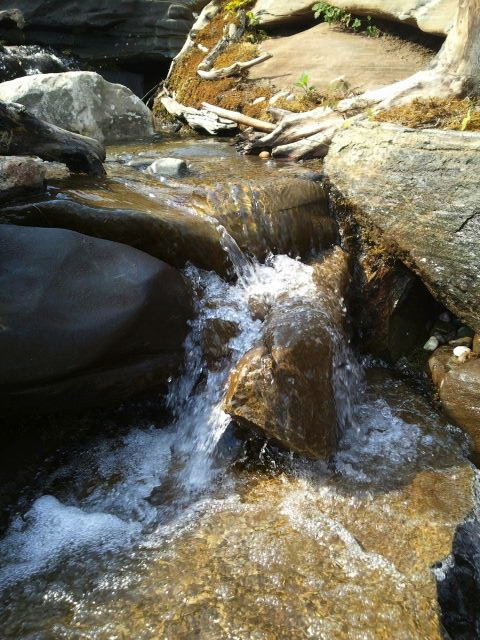 Or are you apprehensive about taking on the responsibility of maintaining a full-fledged eco-system? 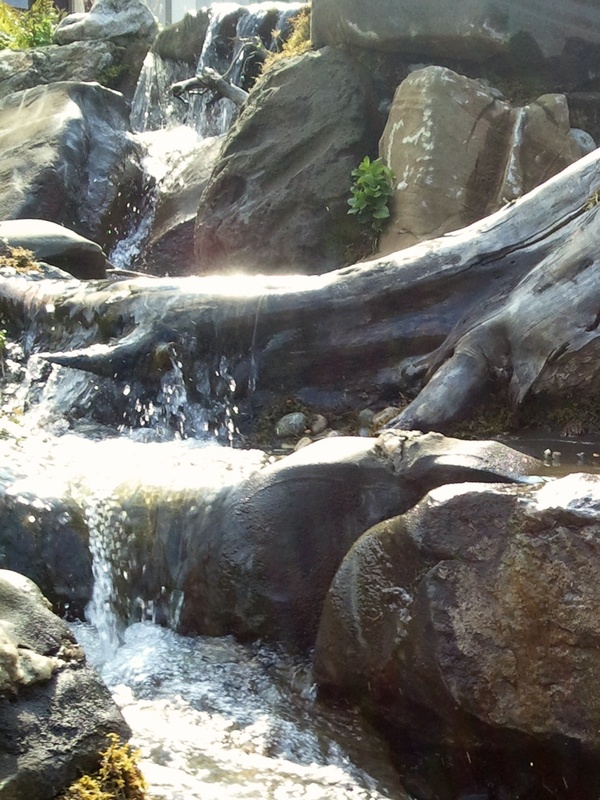 Well, we have the answer for you. 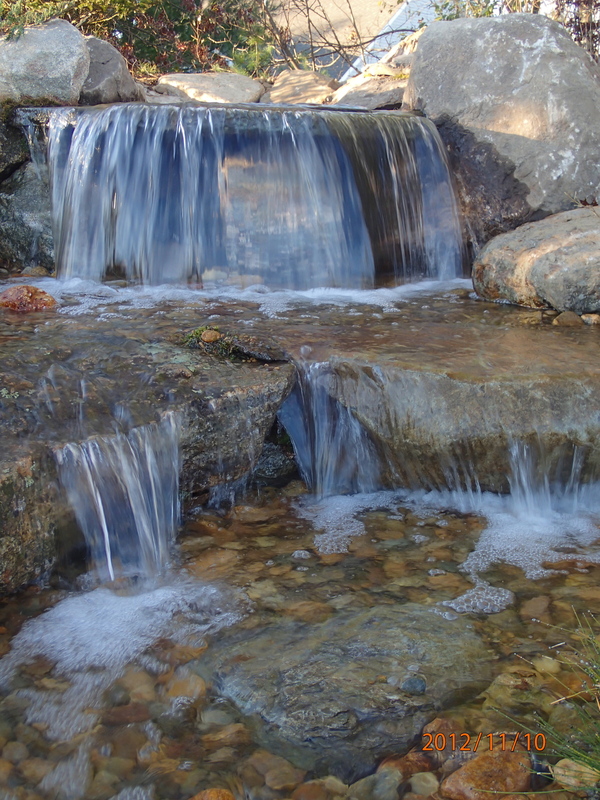 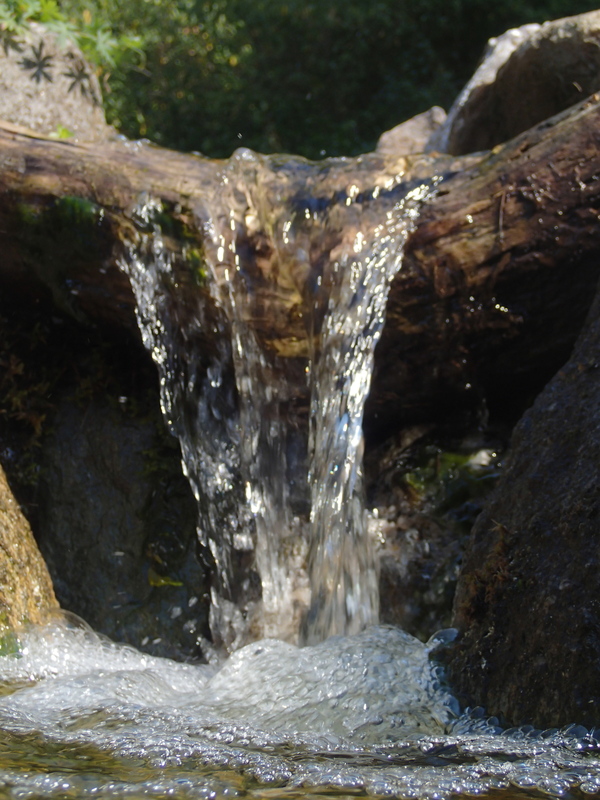 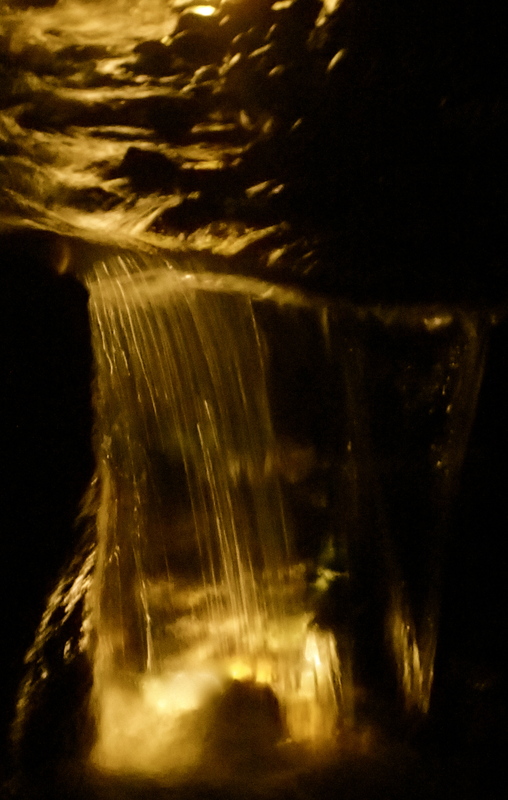 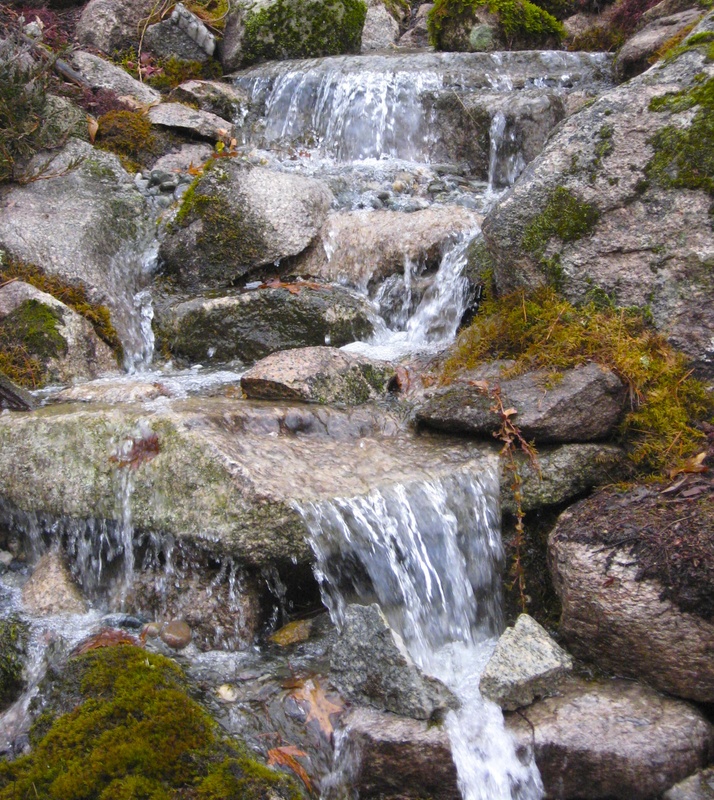 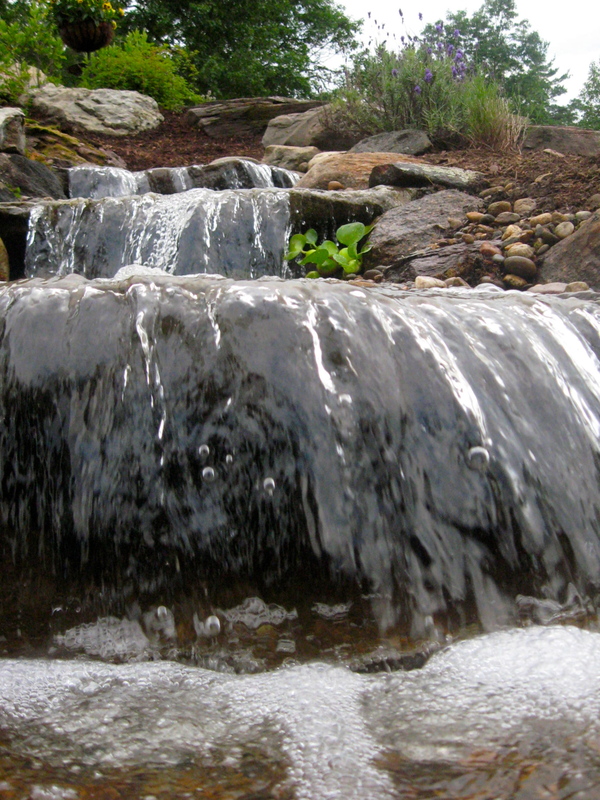 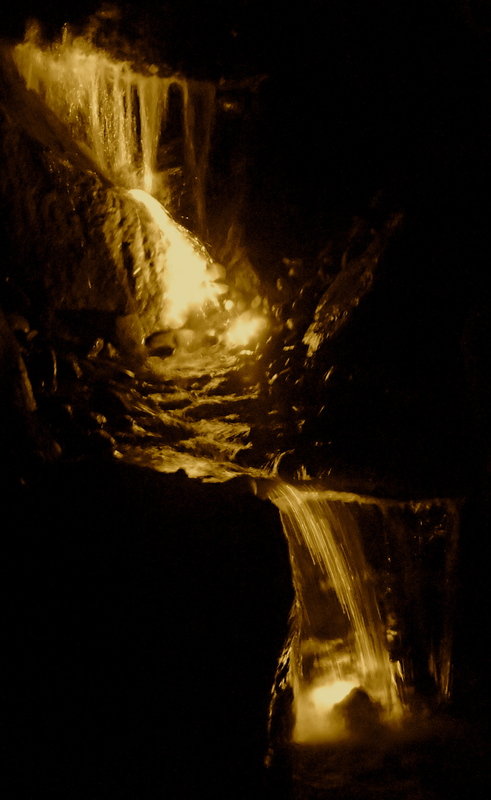 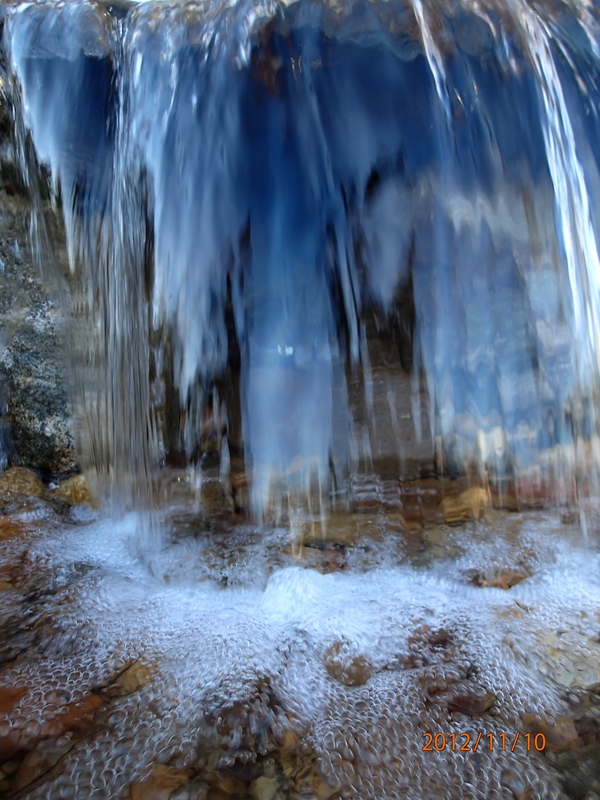 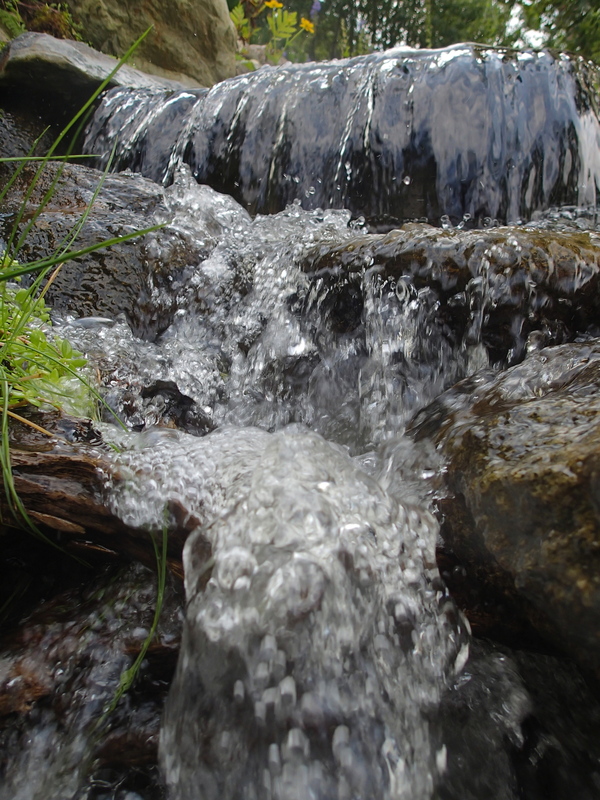 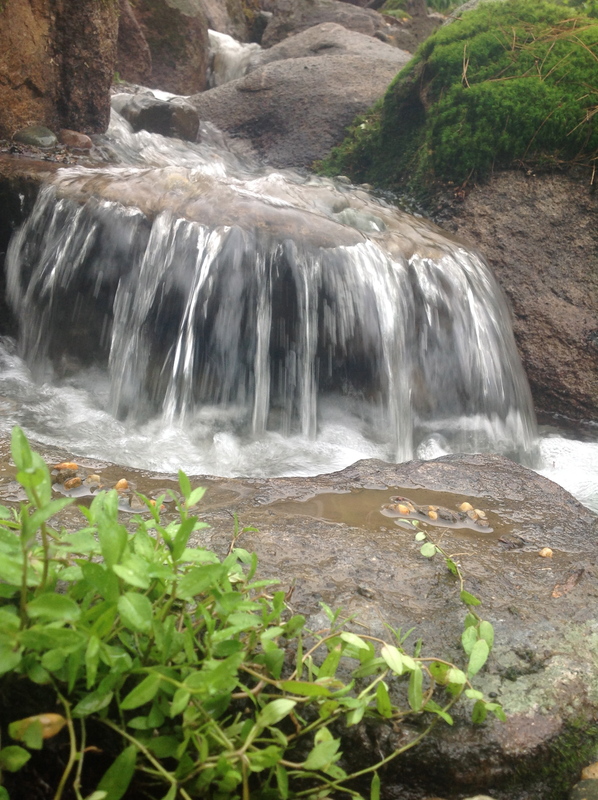 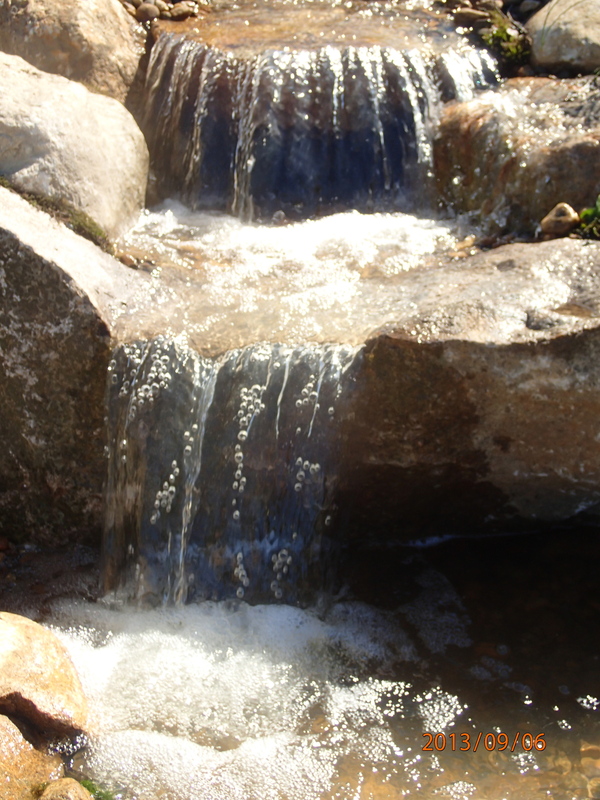 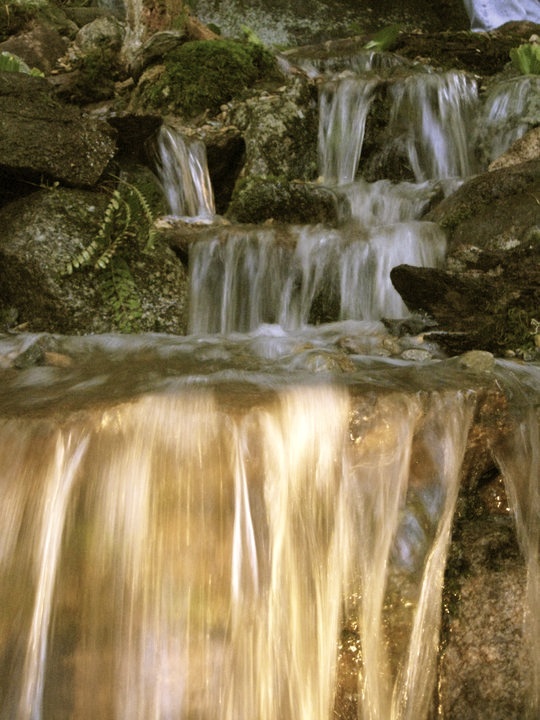 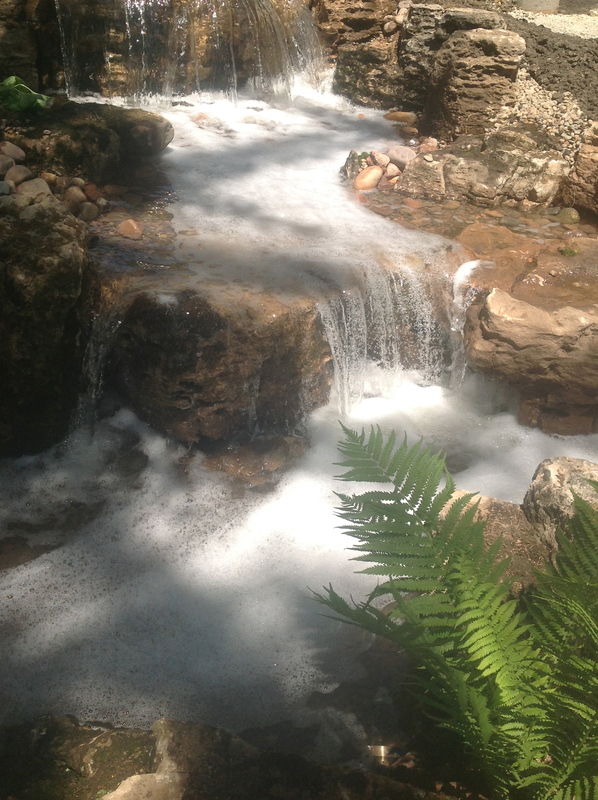 The Pondless® Waterfall is basically that — a waterfall and a stream, without a pond. 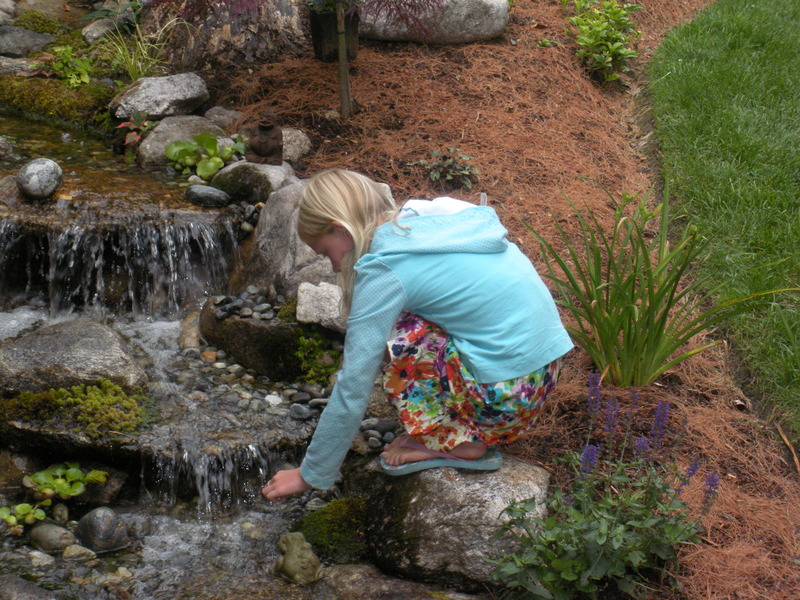 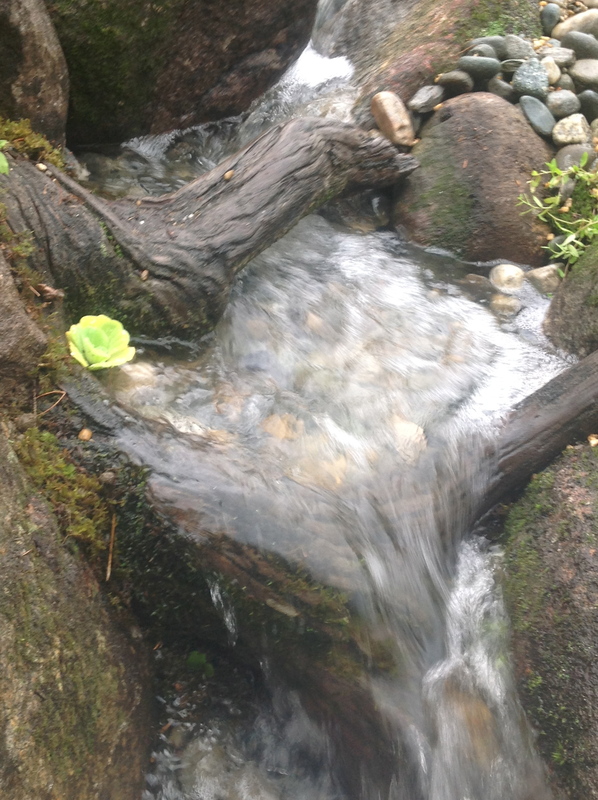 If you have small children and safety is a concern, you can start with a Pondless® Waterfall. 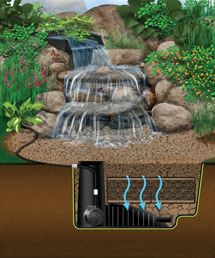 With the simple addition of a skimmer and a larger liner, you can convert your system to a pond when the kids are older. 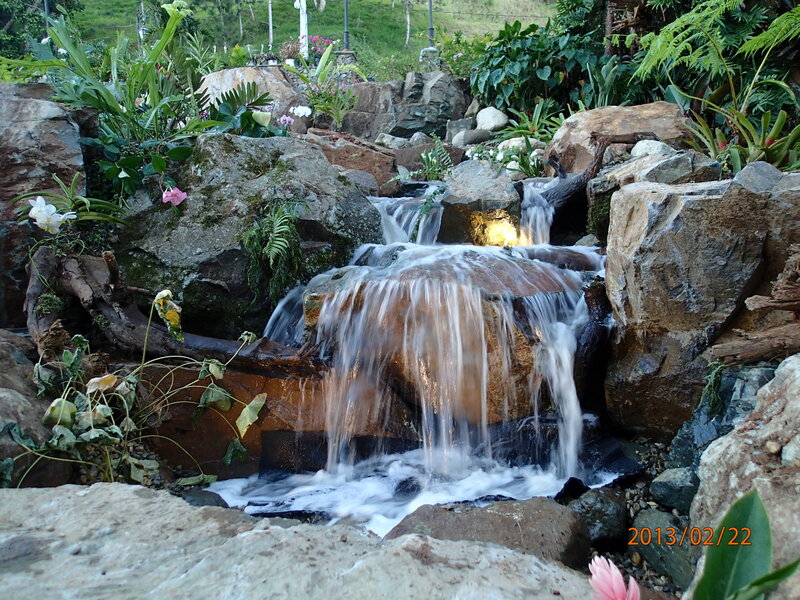 Some people feel that taking care of fish would be too much of a responsibility and that they won’t be able to leave their pond for long lengths of time, while others say they do not have enough room for a whole pond. 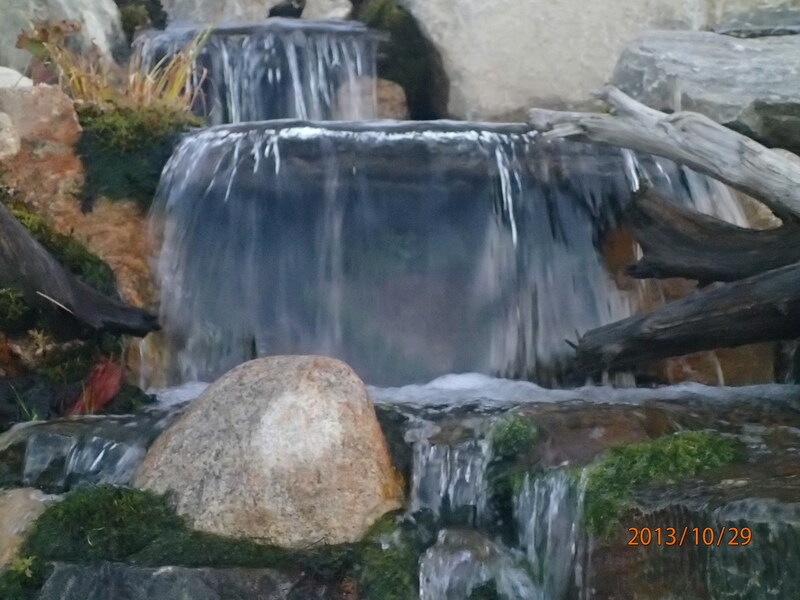 The Pondless® Waterfall is virtually maintenance free. 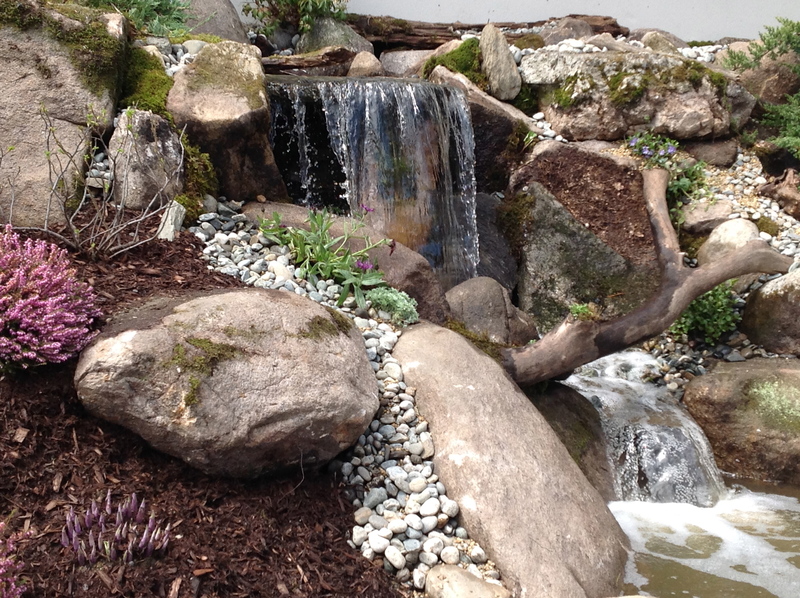 Freshen up the entrance of your office or home. 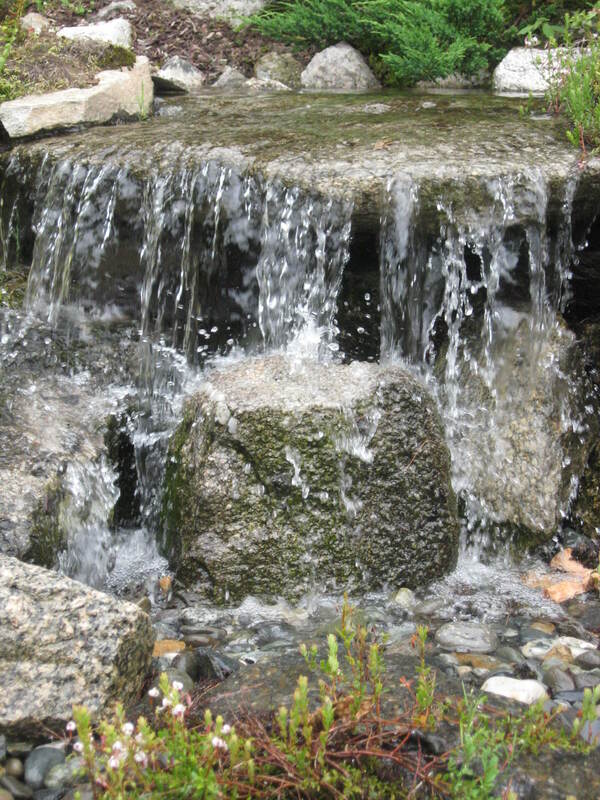 A Pondless® Waterfall can add great curb appeal to any home or business looking to add to the aesthetic value of their property. 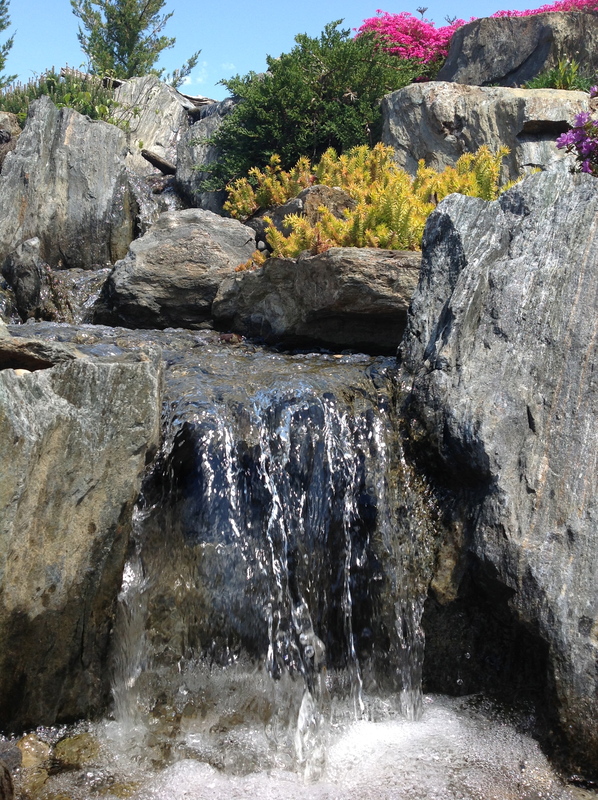 The low cost and easy maintenance make this system an easy choice for those wanting to add some zest to their existing landscape. 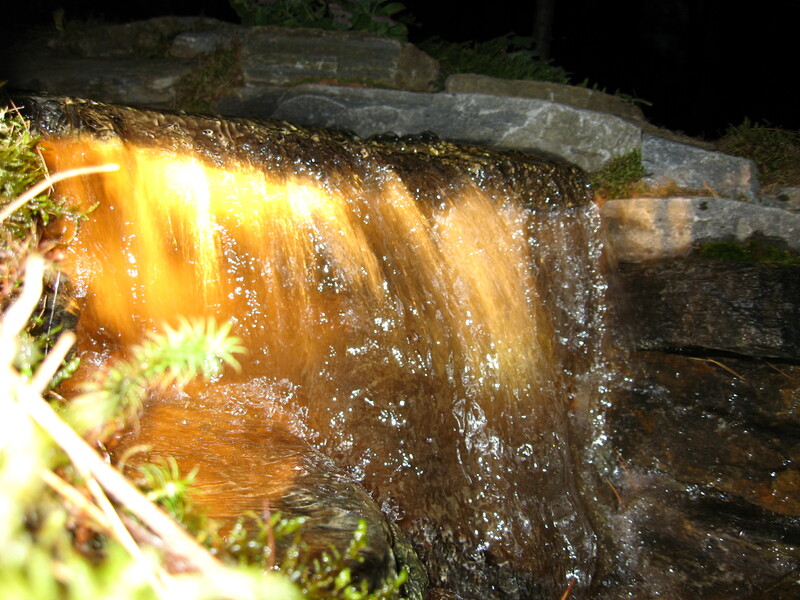 The cost of a pondless waterfall is usually less than a full blown pond, and waterfalls can be placed on a timer for electrical savings. 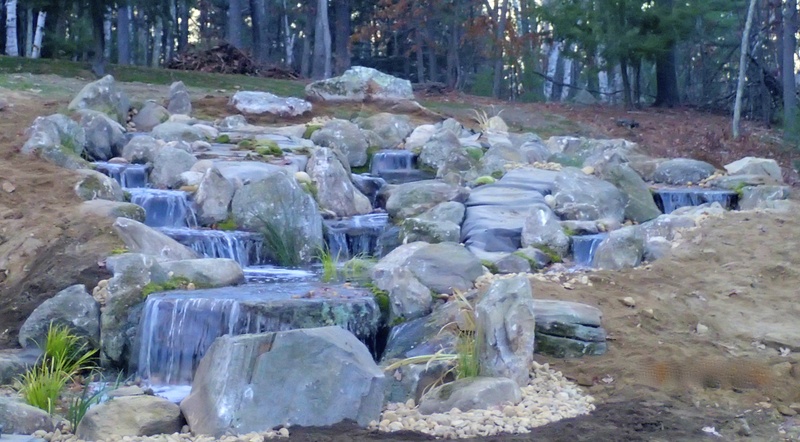 A hole, deeper than a normal pond is dug, then lined and filled with rock, gravel, and water. 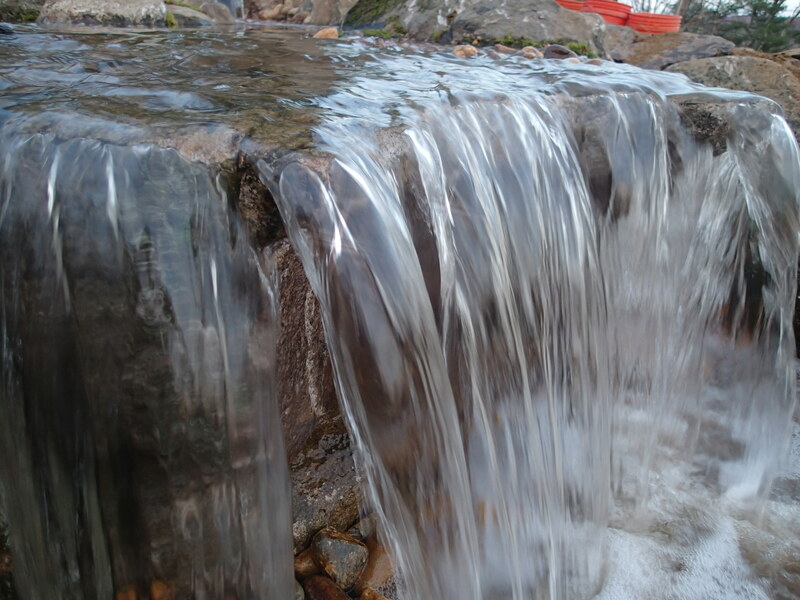 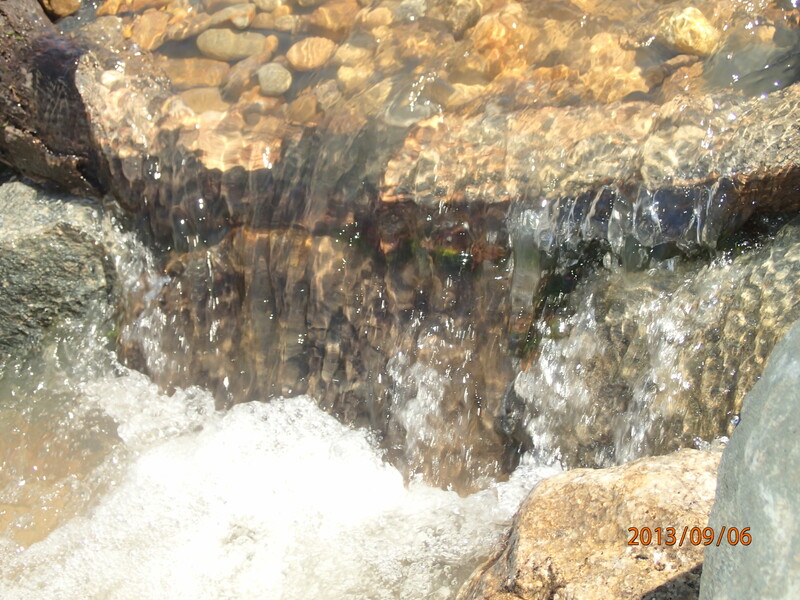 The water is then circulated from beneath the rocks and gravel by a pump that sits in the bottom. 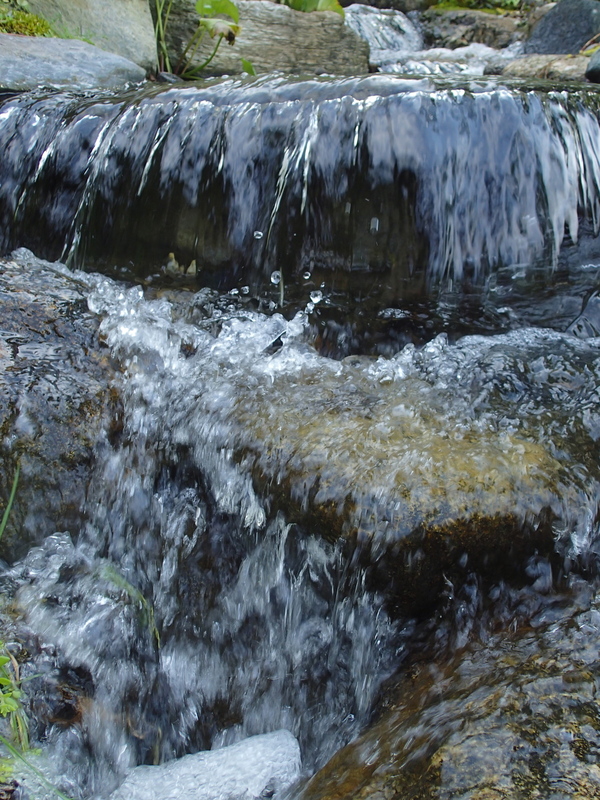 The water runs through a pipe up to a wetland or BIOFALLS® filter, down a constructed waterfall and stream, where it falls back into the reservoir.